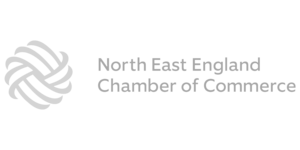 The interactive product showcase application was utilised by retailers and event companies. The interactive product showcase project was centred on customer interaction with products. The project aim was to see how sales and brand awareness could be increased by rewarding time spend interacting with products. Lamasatech wanted to get people talking about the products and thinking of ways they would like to customise them to suit their needs. By encouraging people to personalise items, you form a connection between the prospect, the product and the brand. A 3D image of the product is shown on a large touch screen which entices passers-by to look at the product and engage with the content on the screen. 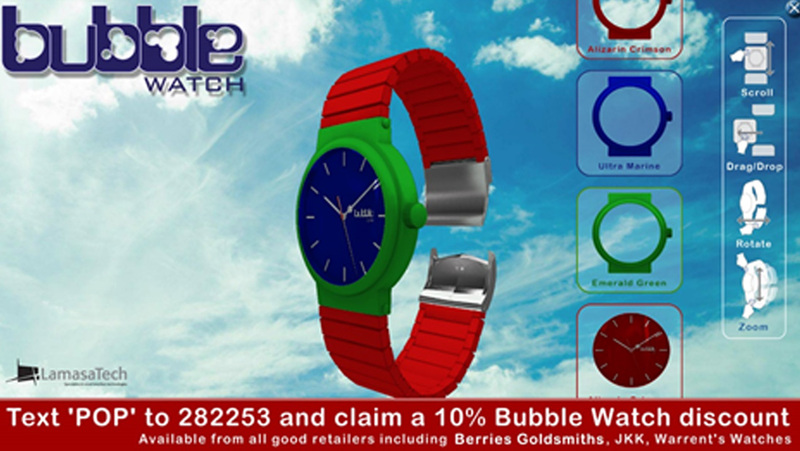 Users are able to customise the product, in this instance the Bubble Watch. Users could change the colour and style to something that would suit them. They could drag and drop 3D watch faces and watch straps to make the watch into something they would like to wear. This engages the user and gets them thinking and talking about the product offering and engaging with the brand. Once this connection has been formed and the user is completely engaged (and entertained!) They are then supplied with a voucher for the store where their customised item is sold. The voucher has the option to be location based which drives the user to make that ever important buying decision. Users of the application are asked to enter their contact details onto the screen so their voucher can be sent to them. This enables data collection and makes the purchase decision easier for the buyer as they have access to the voucher on their mobile. The interactive product showcase project takes the customers purchase cycle into account and makes each step of that journey as easy and stress free as possible. Consequently increasing purchase rates as there is very little work for the customer to do. The interactive product showcase project allows for an effective interactive experience that really engages people and drives them to act. As a result, the application is an excellent sales tool. It can be used for and applied to numerous products, from watches and clothing, to technology. Perfect for retailers, shopping centres and places that see a high footfall and a high dwell time such as airports and other transport facilities.